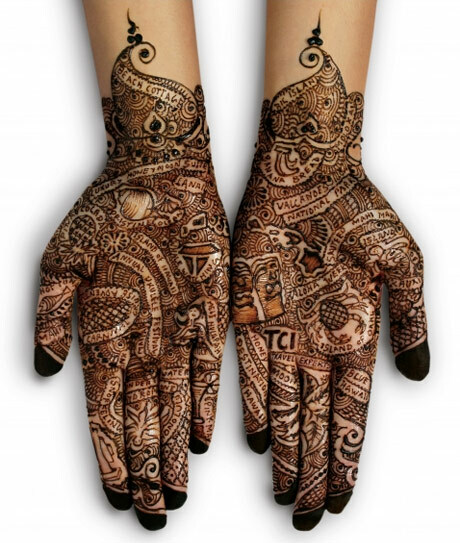 These henna hands by Payal Juthani looks stunning. Part of a Hawaii campaign for the Travel Corporation India. Feb 05	This entry was posted in Illustration by cookie. Bookmark the permalink. I can make it too. I did for everybody in my famely. I like the more traditional henna art but this is so intricate you gotta like it.Cool post. Those are not tattoos, it’s henna, which is not permanent, still very beautiful, I have always loved henna art.